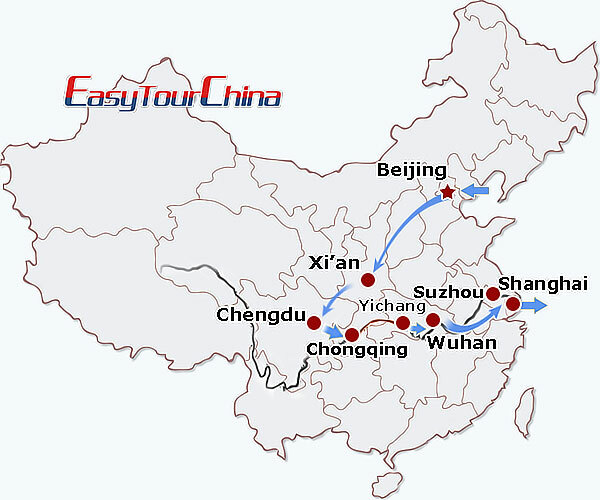 The highlights of this train tour is the fast bullet train from Chengdu to Chongqing for Yangtze River cruise as well as the high speed train from Shanghai to the classical beauty of Suzhou and Hangzhou. The highlights including Forbidden City, Summer Palace, Temple of Heaven, the Great Wall, Terra Cotta Warriors and Horses Museum, Big Wild Goose Pagoda, Giant Panda Breeding Center, Three Gorge Dam, Yu Garden, Zhouzhuang Water Town, etc. Our guide will meet you at the airport. Transfer to the hotel. The rest of the day is free for your own exploration. 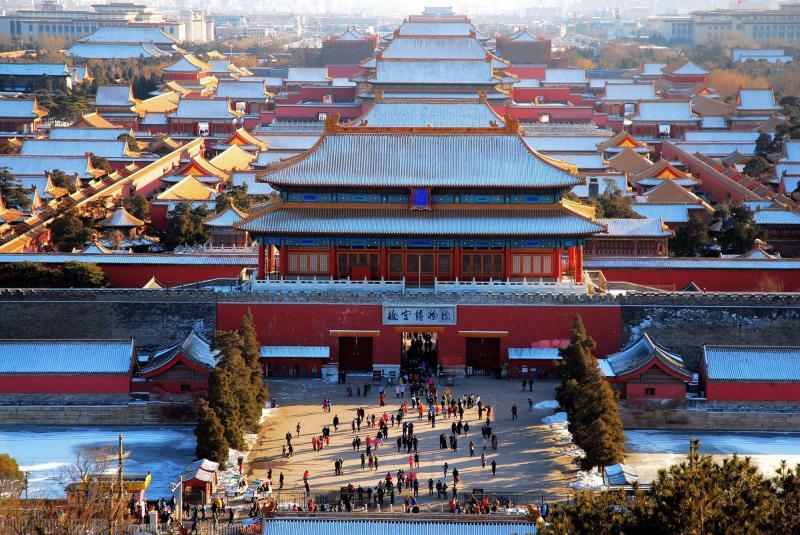 3 highlights today: first, go to the Forbidden City, which is officially known as the Imperial Palace Museum and has a long history over 500 years. Then visit the Summer Palace, which is a royal garden most completely preserved with richest landscapes and large compact buildings. It was listed as the world cultural heritage in 1998. At last, pay a visit to Temple of Heaven, which is one of Beijing’s most impressive sites in terms of architecture, color and significance and was used by Emperor to communicate directly with Heaven. 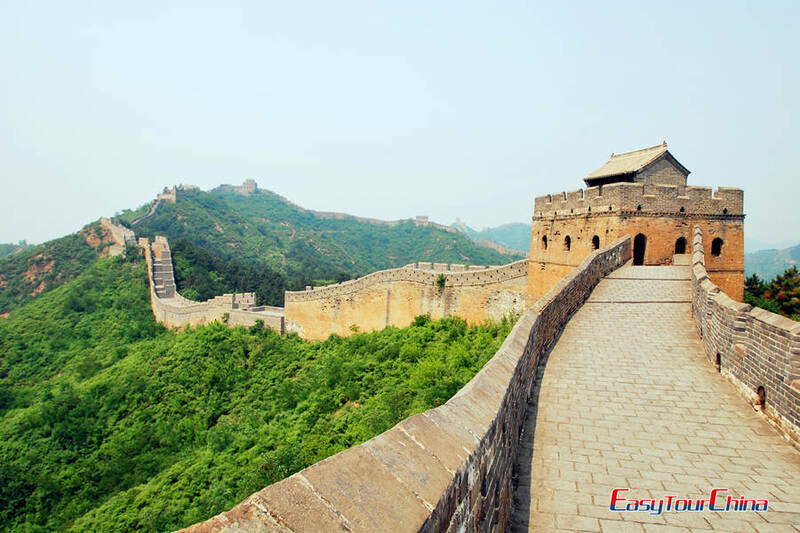 Shared bus tour to the Great Wall, a series of stone and earthen fortifications in China which is a symbol of China's history and heritage. 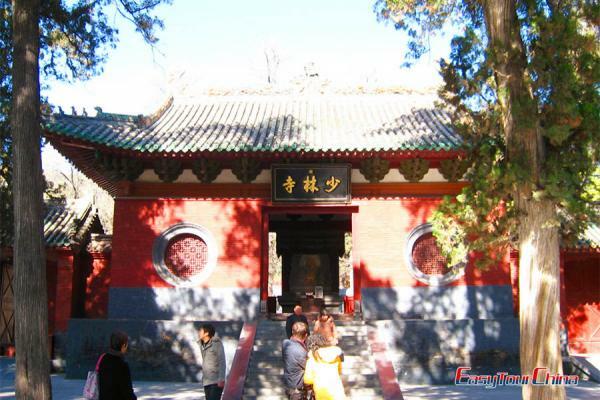 Then go to Ming Tomb, located at Chan Ping County, 50 km (31 miles) northwest of Beijing, it reflects a similar conception of Imperial architecture. Free morning, transfer to the train station and take overnight train to Xian. Pick up at train station and transfer to Hotel. The rest of the day is free for your own exploration. Shared bus tour and firstly go to the Banpo Museum. Banpo Village Ruins is a typical representation of the Neolithic Yangshao Agricultural Village. The ruins date back 5600-6700 years. It is the earliest known agricultural village in China. 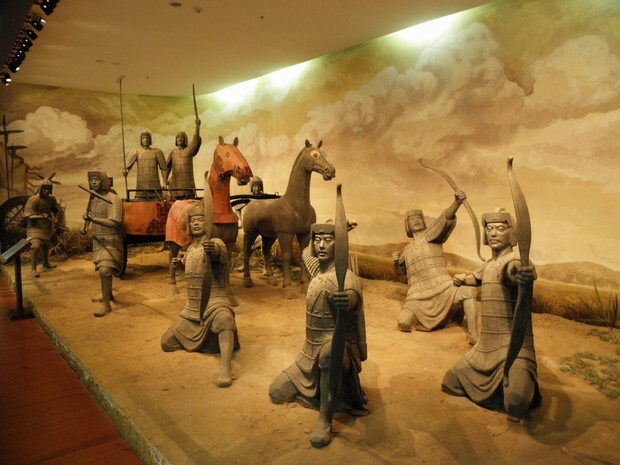 Then drive to the Terra Cotta Warriors and Horses Museum, which is one of the top attractions in China and famous for its historical significance and uniqueness. At last, pay a visit to Big Wild Goose Pagoda-- the city emblem, which was first built in Tang Dynasty for the storage of Buddhist scriptures taken from India by Monk Xuanzang. Free morning for rest or your own trip around. Transfer to the train station and take train to Chengdu. 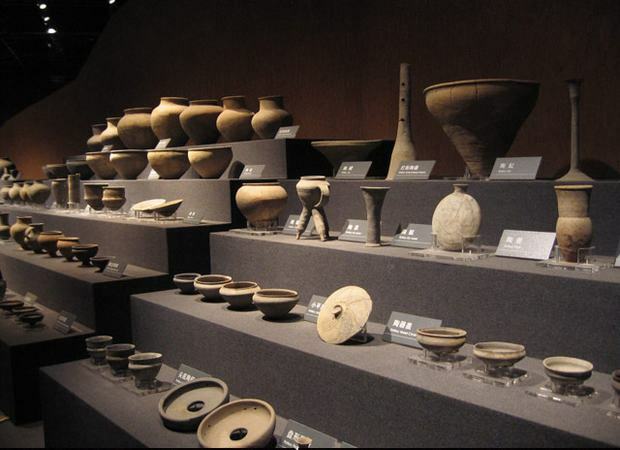 Be met and transferred to the hotel and have lunch, visit Jinsha Cultural Relics Museum, it was regarded the most significant archaeological discovery in the 21st century in China. 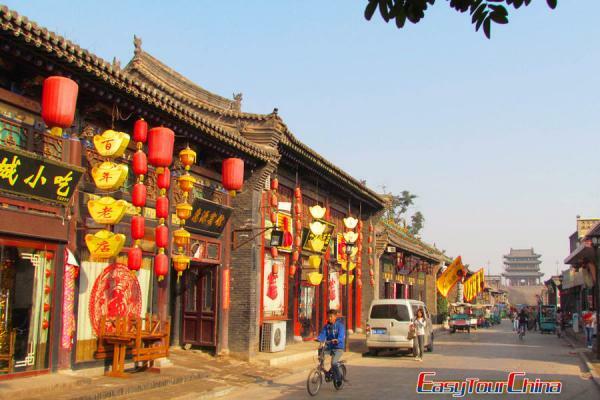 Later, enjoy leisure time on Jinli old street. 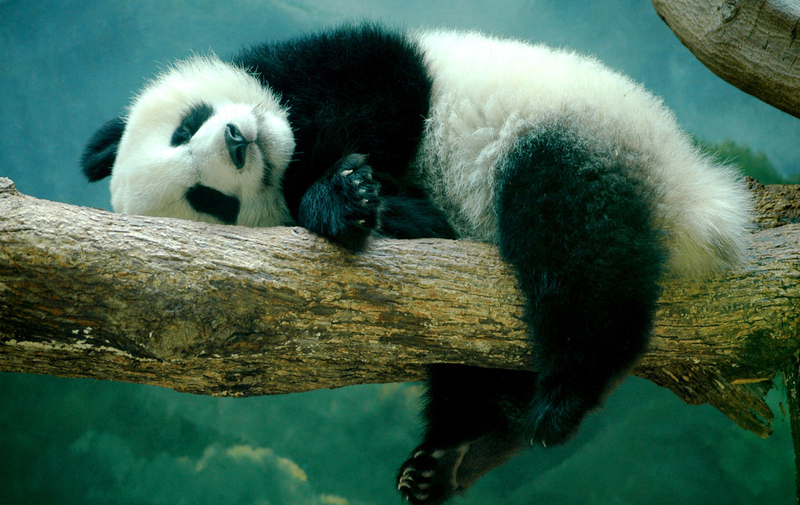 In the morning, visit Giant Panda Breeding Center, founded in 1987, it is a non-profit research and breeding facility for giant pandas and other rare animals. Then transfer to take a day train to Chongqing. 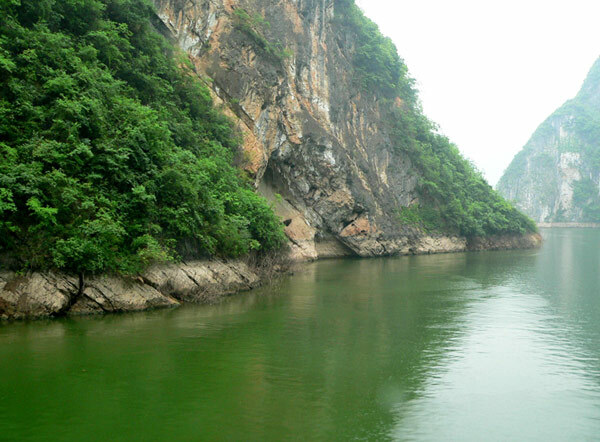 Be met, have dinner and go to board the Yangtze River cruise. On board, shore excursion to "the Ghost City" --Fengdu or Shibaozhai depending on the schedule of the cruise companies. Since 2010, some cruise companies offer optional shore excursions during your cruise, please kindly check with your travel consultant for more information. Shore excursion to the amazing Three Gorge Dam: it is the world's largest power station in terms of installed capacity (22,500 MW). Later, disembark at Yichang. After lunch, transfer and take train to Wuhan (2.5 hours). After breakfast, visit Hubei Provincial Museum, located in the Wuchang District, is the only provincial comprehensive museum in Wuhan. It collects, protects, and exhibits the cultural relics discovered in the province. The second stop is the East Lake, covering an area of 33 square kilometers, it was designated as one of the 4A tourist zones of China in 2000. Later, board the express train to Shanghai (6 hours). Shared bus tour to the city in Shanghai. 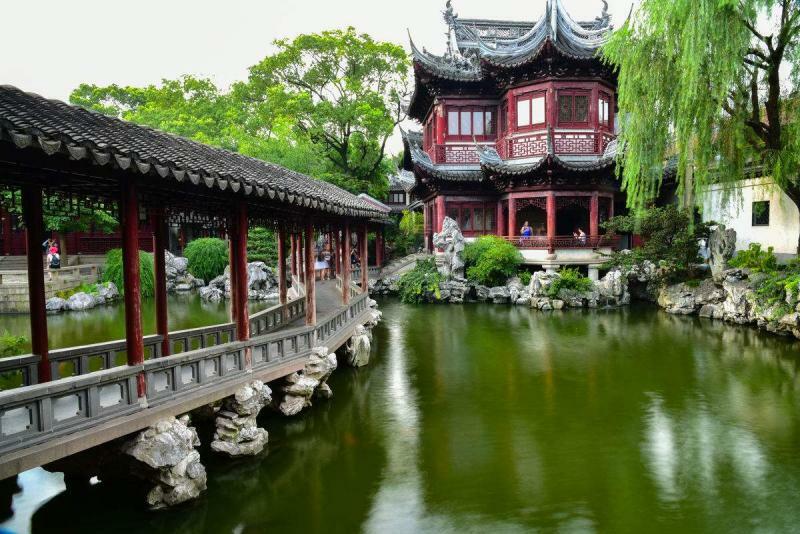 Several highlight spots are in line: Yu Garden, with 400 years’ history, this private garden features traditional architectural style of Yangtze Delta. The Bund, where is the famous waterfront to see newly-erected modern skyscrapers and aged buildings of the colonial period. Xintiandi, a car-free shopping, eating and entertainment area where composed of restored traditional shikumen (stone gate) houses on narrow alleys. After lunch, wander in Pearl City and go to visit Jade Buddha Temple, which is the most popular Buddhist temple in Shanghai boasting 2 precious jade Buddha sculptures from Burma. 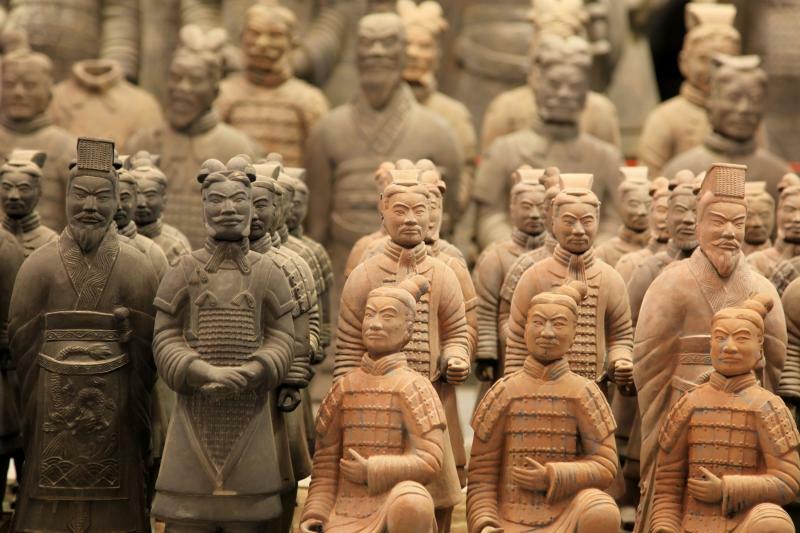 Then go to People’s Square and pay a visit to Shanghai Museum, which boasts 120,000 pieces of rare and precious cultural relics in twenty-one categories. Shared bus tour to Suzhou. 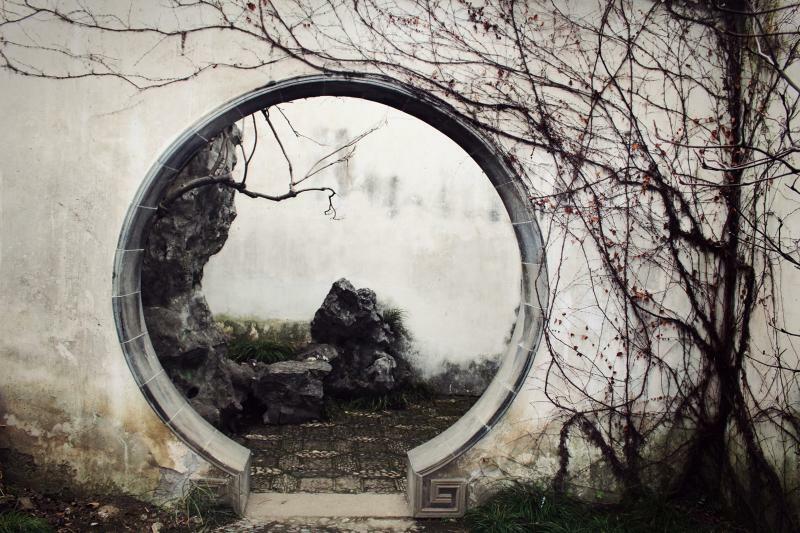 Go to the Lingering Garden, covers an area of 2.3 hectares, it is recorded to have "magnificent multi-storey houses in the front and halls in the rear, and a range of awe-inspiring stone mountains built by the well-known master Zhou Bingzhong, resembling a long scroll of landscape painting." Grand Canal and Old City Gate are the next spots. The canal is the earliest and the longest artificial river in the world that is ten times of the Suez Canal and 22 times of the Panama Canal. Then pay a visit to No.1 Silk Factory--with a history of more than 80 years, it enjoys a good reputation in the silk industry. 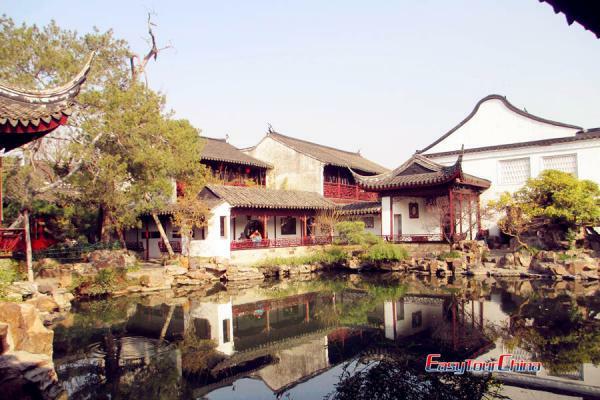 After lunch, drive to Zhouzhuang Water Town, it benefits from the beauty of rivers and lakes. The 14 ancient bridges on the river were built during the Yuan, Ming and Qing dynasties. Rowing boat along the town is offered. Transfer to the airport, and fly to your next destination.